Best Neighborhoods in Mexico City – Centro Historico! 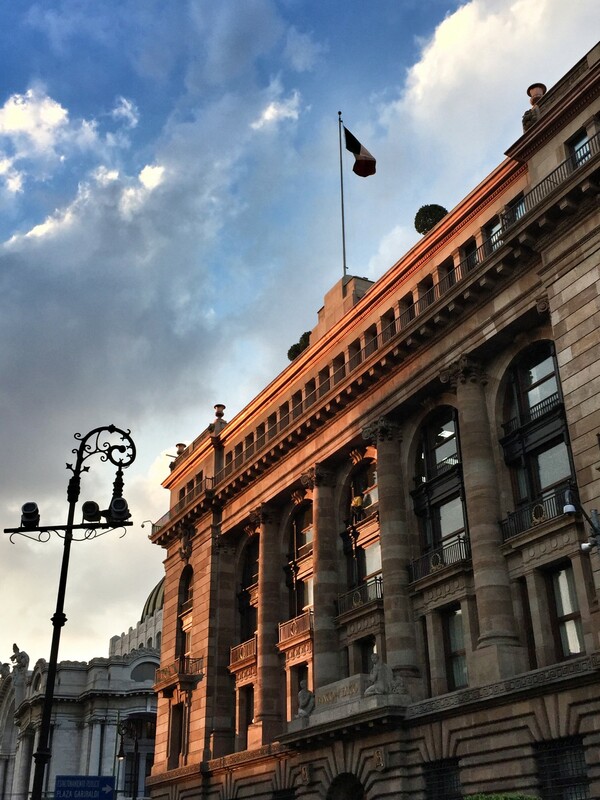 The historic center of Mexico City, Centro Historico, or just “Centro,” is an area of Mexico City that must be seen to be believed. There is a reason it was the New York Times #1 place to visit in the entire world in 2016. In some ways and in some parts, it has the feel of Europe’s famous capital cities and you could easily imagine that you are in the historic sections of Paris or London as you enjoy a coffee in front of 16th century buildings on a quaint, tucked-away street. But at the same time, there is no mistaking the vibrancy of Mexico’s modern culture and politics that draws people to the area for protests, celebrations, concerts and to showcase their piety. 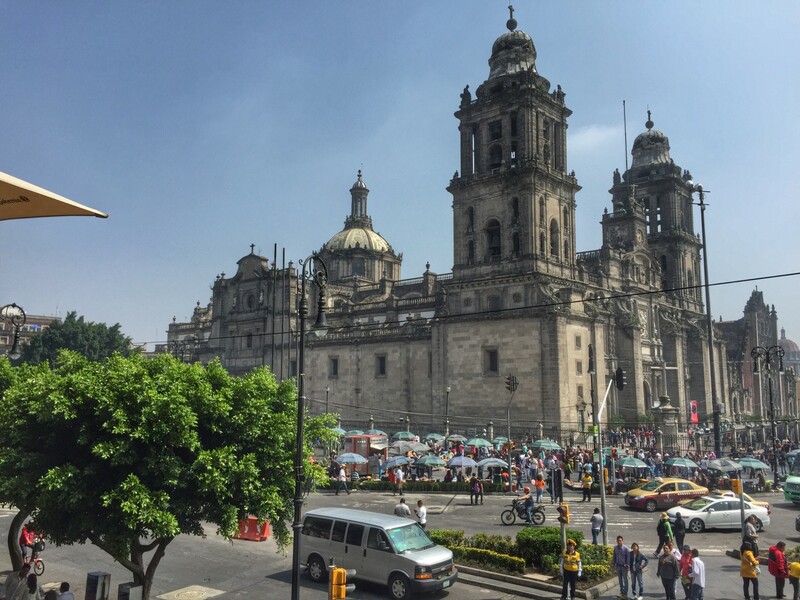 This is where the well-known “Mexico City scenes” were shot for the Bond film Spectre, and even those scenes can only hint at the scale and energy of Centro. This more than any other part of the city is where pre-Hispanic, colonial and modern Mexico intertwine, and there are few other places where you are so reminded of Mexico’s complex, diverse and fascinating past, as well as as present. 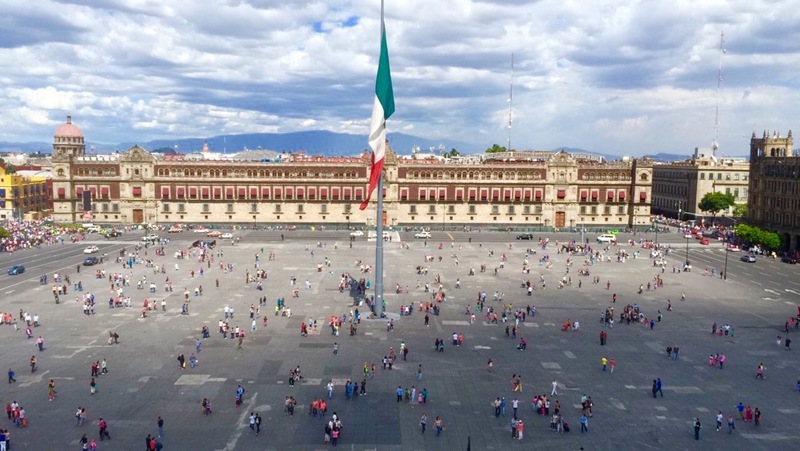 Centro is organized around the Zócalo, which is the main plaza in the city, and the largest in Latin America at about 14 acres – that is space enough for about 100,000 people! The history of the Zócalo is the history of Mexico; it began as an island on Lake Texcoco which was settled by the Aztecs in the 14th century. The palaces and temples built by the Aztecs were destroyed and rebuilt by the Spanish in the 16th century as their seat of government. Today, the large stone blocks from those very temples and buildings of the Aztec period were reused and layered among Catholic churches – including the Metropolitan Cathedral for which construction began in 1573 – as well as the National Palace where the President has official offices, and commercial office buildings and shops from the colonial period. 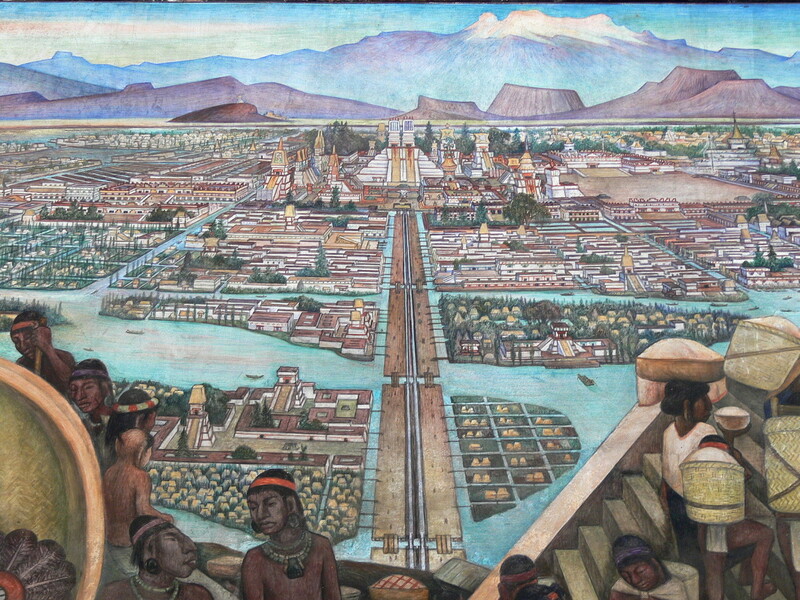 Here is what Mexico City looked like before the Spanish arrived in the mid 1500s when it was known as Tenochtitlan. 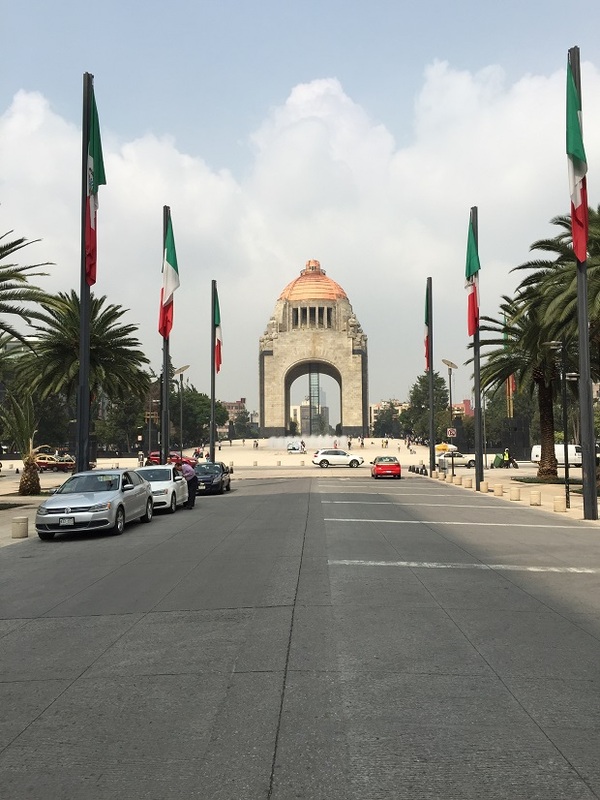 The Zócalo is always busy with tourists, shoppers, and office workers during the week, and even more so on the weekend as locals come to walk around and enjoy an afternoon. The main pedestrian access to the Zócalo, Av. Francisco I. Madero, runs for several blocks and is lined with shops, restaurants, fruit markets, centuries old buildings with intricate tile facades (the Sanborns de los Azuelos stands out) crumbling churches, museums, street musicans, people hawking everything imaginable, dressed as super-heroes to pose with children – and of course, organ-grinders! 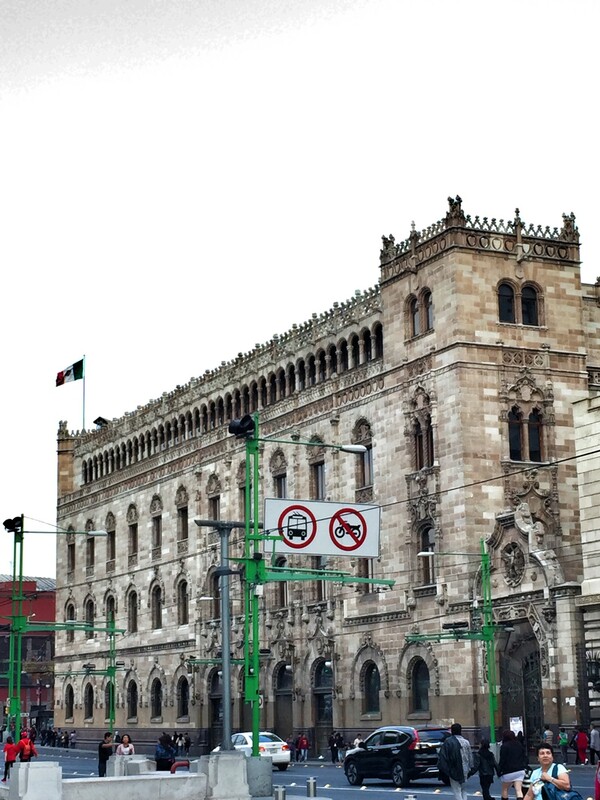 The streets surrounding the Zócalo are less crowded but are equally packed with notable sites and sights on every corner. Mixed in between restaurants and shops selling everything that you could imagine, museums and galleries abound. 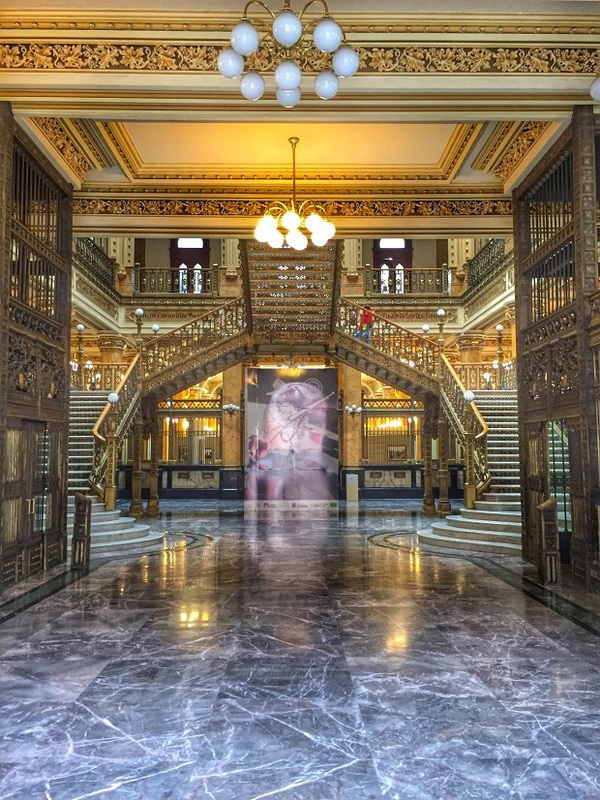 Many of these are just as stunning as the collections they house – the Central Post Office with its gold staircase, the Bellas Artes with its grandiose Art Nouveau exterior, Art Deco interiors, and iconic domed roof, the Hotel de Mexico with its tiffany glass ceiling (featured in the Bond film! )…the list goes on and on. On weekends especially, Alameda Park becomes a go-to place – established in the 16th century as an Aztec market place, and the site of witch burnings during the Spanish colonial period, the present day park is a busy market and home to the Benito Juárez Memorial. Truly, entire days can be spent in Centro exploring just a few blocks of this incredible neighborhood! 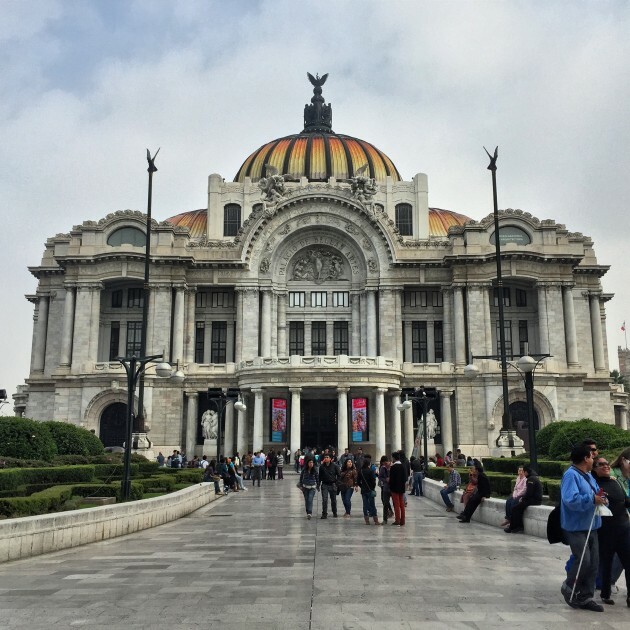 The historic center of Mexico City is actually quite central both in terms of its geographical location in the city and in terms of its accessibility. The southern and western borders are fairly straight-forward, with José María Izazaga and Calle San Pablo marking the area in the south and Anillo de Circunvalación as the eastern boundary. To the southwest, Eje. Central Lázaro Cárdenas is the main street, but the boundary moves quite far east in the northern section from Av. Juárez, expanding as far as Calle Guerrero to include some of the area’s very important cultural and historical sites. The northern limits zig-zags up and down by several blocks, following Calle Mina, Calle República de Perú, Calle República de Paraguay, and Calle Apartado. The walk to Centro from Polanco is pretty much a straight-line along Reforma to Av. Juárez, and can be done in about 50-60 minutes (it is also quite an interesting walk, going by major monuments and statues along the way), and from Juárez in about 30-40. From Condesa and Roma, the southern part of Centro can be easily reached on foot most directly via Av. Chapultepec in about the same time. Public Transportation – More than any of the neighborhoods covered so far in this series of the best neighborhoods in Mexico City, Centro is extremely well-serviced by the Metro which reaches right into the heart of the of the area on Line 2 at Metro Zócalo. Other lines with service into the Centro or to the main streets bordering the area are Lines 1, 3 and 8. Some parts of the Centro are dedicated pedestrian areas, including the always-busy Av. Francisco I. Madero pedestrian access route from Juárez directly to the Zócalo. Ecobici, Carrot Car and Econduce – There are a number of Ecobici stations across the Centro which make this a good option to get in and out of the area. At this time, neither Econduce, the popular scooter share program, nor Carrot Car, the car-sharing program, are available in Centro. Uber – Always a good option for transportation in Mexico City, using Uber to get to and from Centro rather than taking your own vehicle is especially advised given the challenges of driving and parking in this always-busy neighborhood. 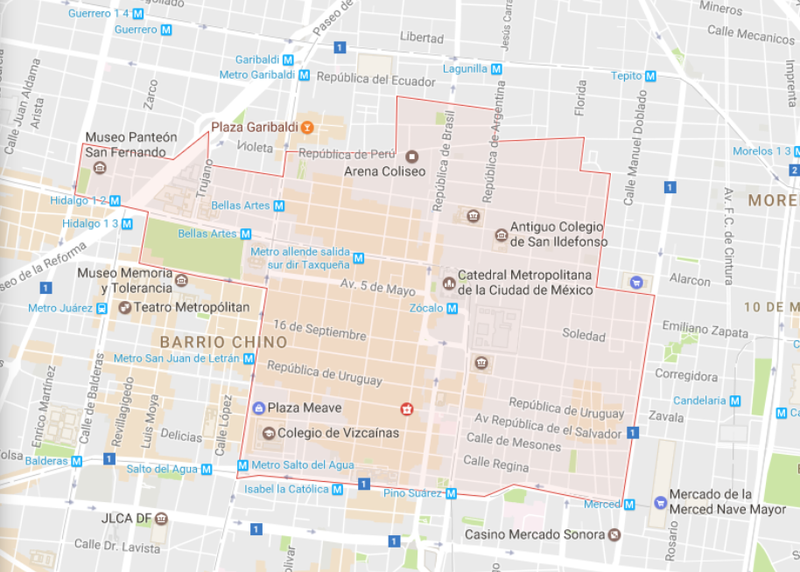 Because of the heavy congestion and pedestrian-only zones in Centro, it is important to have a clear landmark that your driver can find easily, and you should also be willing to communicate with your driver to help them pick you out of a crowd. Using Uber in Mexico City is easy, safe, and affordable. In fact, if you have never tried Uber, go here and sign up and your first ride is on me! https://www.uber.com/invite/jeremya15, or just use the code “jeremya15” when signing up. Taxis – Although this is a busy tourist area, it can sometimes be difficult to find official taxi stations in Centro. There are many hotels in the area, and if you are stuck you can take a hotel taxi from any of them – just be prepared to pay a heavy premium! Los Girasoles: Calle Xicotencatl 1 – Located across the from National Museum of Art, this is a great place to enjoy a late lunch after a day of museum hopping, with a nice shaded patio at street level. Tamarind margaritas (on the rocks!) and pistachio soup with rose petals are just two of the offerings from the menu of Mexican favorites. La Opera: Originally opened in 1876, this beautiful old school bar/cantina/restaurant will take you back in time to old Mexico when waiters wore bow ties and served up tall tequilas alongside delicious traditional plates. There is even a hole in the ceiling where Pancho Villa fired off his pistol one night! El Cardenal: Calle de Palma 23 – An institution with several locations across the city, this restaurant is located in the heart of Centro just west of the Zócalo in a beautiful porfiriano-style building. Classic table settings with crisp white linens are the perfect backdrop for their famous chiles en nogada, served from August to the beginning of October. Very busy, especially for breakfast. Puro Corazón: Monte de Piedad 11 – There aren’t many places to get a better view of the Zócalo and the Cathedral than from the 6th floor terrace of this Mexican restaurant. A great place to enjoy the late afternoon breezes with one of their many interesting cocktails. El Mesón del Cid: Humbolt 61 – A long-standing Centro restaurant serving traditional and contemporary Spanish fare in what feels like a medieval castle complete with stained glass and fireplaces. On the weekends, in keeping with this theme, there is a 4 course medieval dinner complete dancers, jugglers and live music. El Danubio: República de Uruguay 3 – Another very popular Spanish restaurant specializing in fish and seafood, including crawfish, eel and of course lobster! 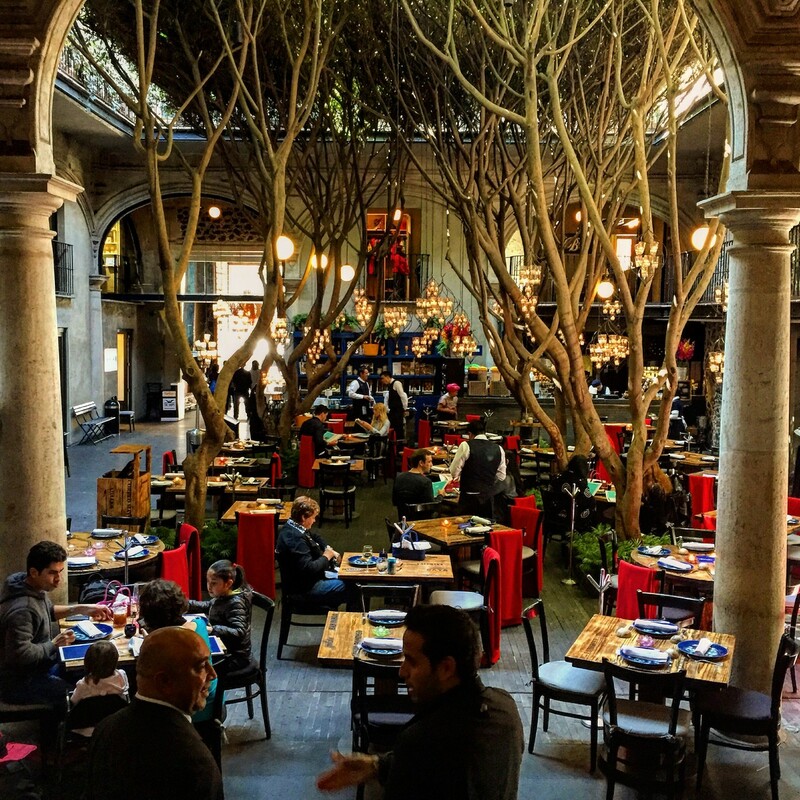 Azul Historico: Calle Isabel la Católica 30 – This beautiful restaurant brings the outside inside with tables among the trees in the courtyard of this historical building. Creative twists on traditional Mexican dishes are always on the menu, with season dishes coming and going – a good reason to go back! Café del Centro: Donceles 96 – This popular café is well-known for serving affordable and delicious items to nibble along with a great cup of coffee. Café el Popular: Calle 5 de Mayo 52 – Small centrally-located café with a very popular vegentarian menu and reasonable prices. Café Rio: Donceles 86 – Popular and cozy spot to enjoy a coffee and a snack or homemade desert. Juan Valdez Café: Av. Juárez 97 – Casual coffeehouse setting with hot and iced coffees and free wifi. El Huequito: Calle Bolívar 58 – While there this busy spot offers more than just tacos, people do rave about the tacos al pastor! Taquería Los Paisas: Jesús María, s/n, near to Zócalo – As a rule of thumb, the taco stand with the line-up of people waiting their turn is the taco stand you want to be at. The constant line-up at this one speaks for itself. Los Cocuyos: Bolivar 56 – this small taquería serves from a widow facing the street and has a wide menu of offerings including tacos de cabeza. Bar Pata Negra: Avenida 5 de Mayo 49 – Actually a small chain, Pata Negra is a great place to grab cocktails, eat as well as party well into the night. One night will be a live salsa band or the next a house DJ. Foreigners and locals love this place alike. Miralto: Eje Central 2 – Located on the 41st floor of the Torre LatinoAmerica, this high-end bar offers a good range of cocktails and some of the best views in the city. Zinco Jazz Bar: Motolina 20 – This jazz bar is locate in the basement of an old bank building, which adds to the already cool vibe created by local and international live jazz. Marrakech Salón: República de Cuba 18 – A mix of cabaret, gay bar and kitsch hangout, the Salón regularly hosts live entertainment for a diverse and definitely LGBT friendly crowd. Bósforo: Victoria 9 – Easy to miss, this unmarked bar keeps a low profile on the street and on social media, but its reputation as one of the best mezcalerías in the city can’t be kept a secret. The historic center is definitely one of the best neighborhoods in Mexico City, if not the coolest. It’ s a place that you will want to come back to again and again as there is an endless array of things to do, see and eat! 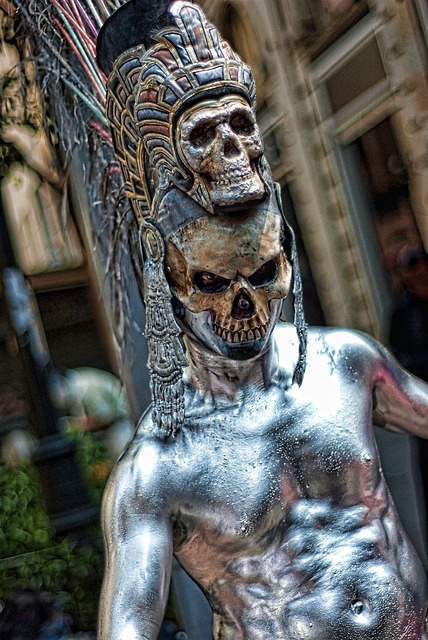 Celebrating Halloween and The Day of The Dead in Mexico City! 15 of The Best Cities in The World from Full-Time Vagabonds! Travelling to Russia – Is it tourist friendly at all? 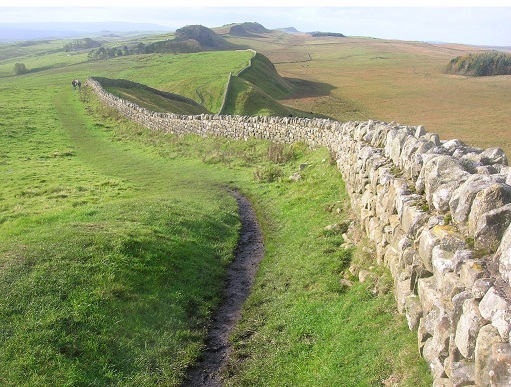 Exploring England’s Northernmost County: Northumberland! 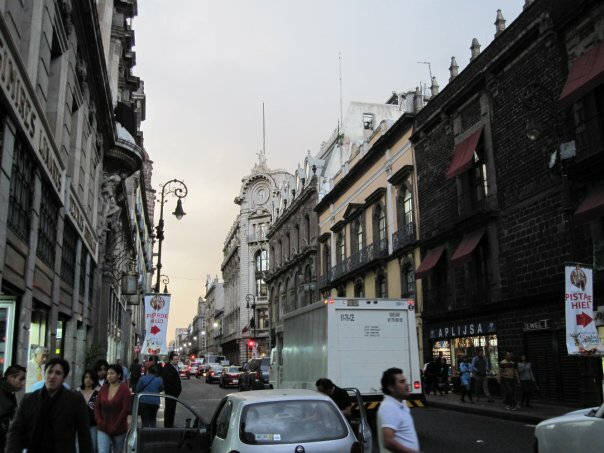 7 comments on Best Neighborhoods in Mexico City – Centro Historico! 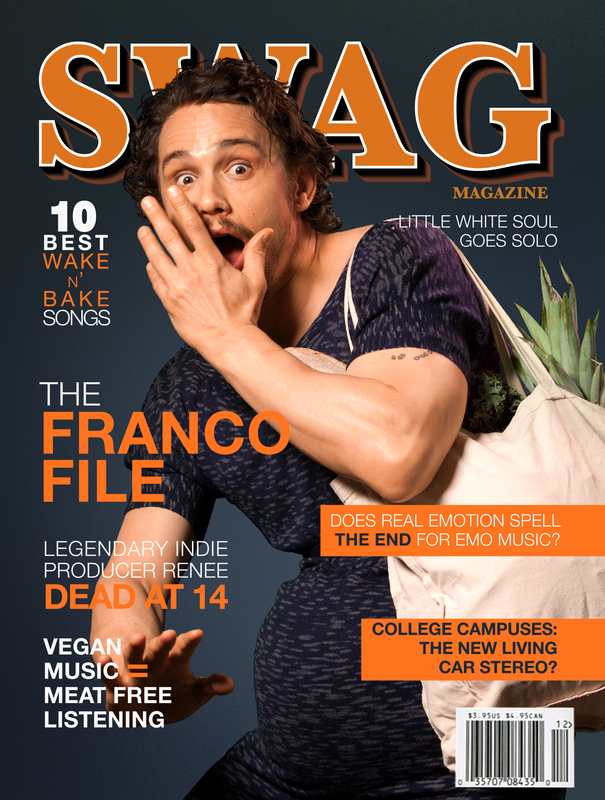 Awesome article and great choices. These destinations look absolutely amazing! You captured awesome pictures in your destination. Thank you so much for sharing it. The Architectures everywhere are great and I love your photos. Mexico is indeed beautiful. Thanks for sharing. Wow, Mexico looks breathtaking and the photos you took captured it. Thanks for sharing this, I do hope I can get to that place, it’s on my travel bucket list. Great pic. Le Opera is such a good cantina, and even if the Pancho Villa story may be a bit exaggerated, it’s a great place. Love all the balconies and tiles in the center, too. Great post! Wow! These places are outstanding, Jeremy! Thanks for the motivation! Like The World or Bust! Become a part of the picture! 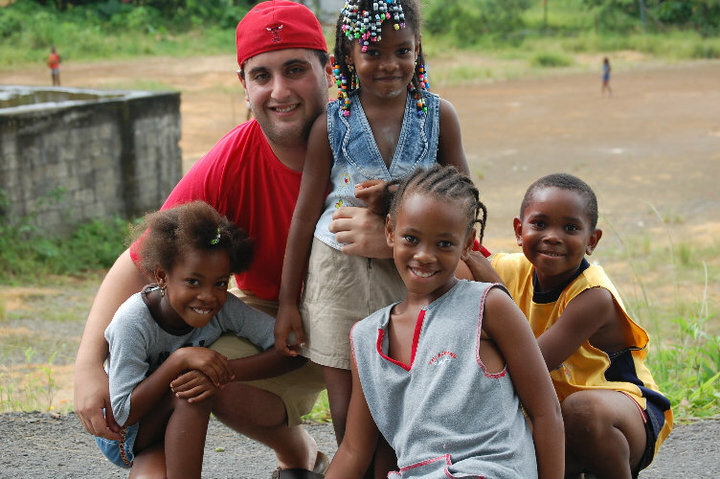 Feel free to contact me at Jeremy@theworldorbust.com in regards to anything from contributing your own personal story to the project to sending me on a press trip! Copyright ©2015 - The World Or Bust.